Judge Grier Melancthon Orr was born in 1856 at Pike Furnace in Clarion County, Pennsylvania. He graduated from Heidelberg College in Tiffin, OH and was a school teacher there for a time. He also received his legal education and began his law practice in Ohio. Orr moved to St Paul in 1884, where he practiced for 9 years. During this time he married Etta White of Rochester, MN. He served as a Municipal Court Judge from 1894 – 1902. 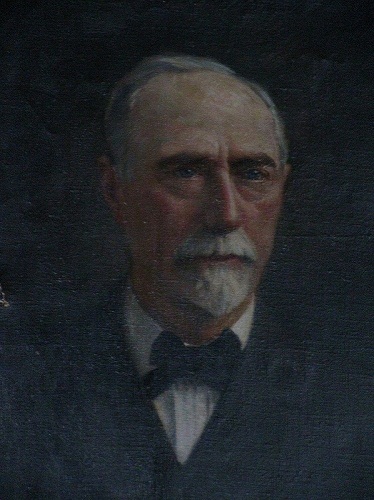 In 1903 he became a Ramsey County District Court judge. He was nationally known in this position for his work in juvenile and family law. Even at a time when divorce was rare, Judge Orr oversaw more than 3000 divorce cases from 1903 – 1930. He advocated marriage law reforms, and validated the Minnesota Inheritance Tax in 1905. Judge Orr presided over the first session of the Ramsey County Juvenile Court on June 1, 1905. His priorities for Juvenile court included helping families “to avoid publicity and to protect children and parents from a public knowledge of their misfortunes of life.” He was also instrumental in the establishment of Ramsey County Detention Homes for both boys and girls. Due to his combined work experience, “[h]e brought to the juvenile bench a humanistic background of several years as a schoolteacher, eight years as a municipal court judge, and a number of years as experiences on the district court bench.” The goal of Juvenile Court was remove wayward youth from the court system and to find appropriate rehabilitative services for them.